September 3, 2014 By Allyson 18 Comments This post may contain affiliate links. Read my disclosure policy. If there is one thing a mom can understand, it’s being busy. Most of my friends won’t even say they are ‘busy’ because it’s always assumed that a mom has 500 things going on at once. I have 2 kids, a full-time job, I blog regularly (which could be a full time job itself), and there are always a million and one other things going on. One way I like to stay organized is with a little planner, but I always fall behind on it, leave it at home, or end up with tons of little scribble marks on it. 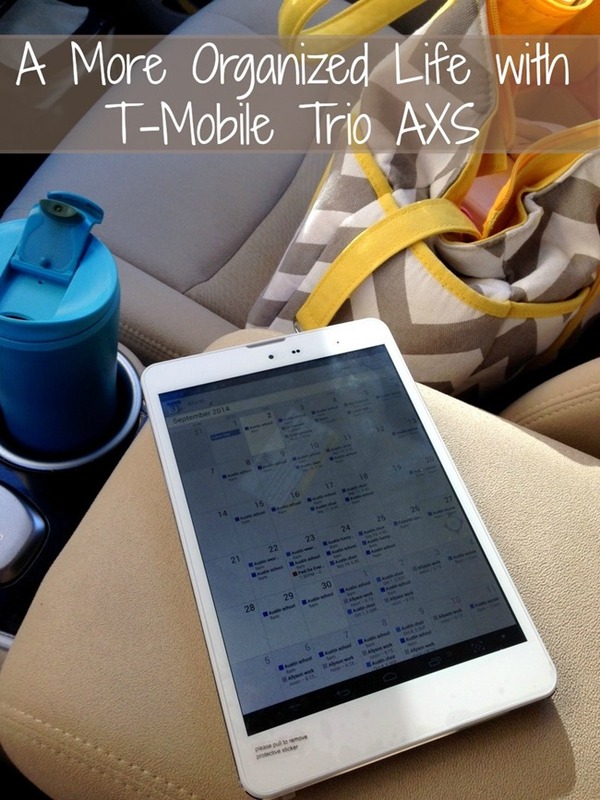 When I heard about the T-Mobile Trio AXS 7.85” 4G Tablet, I thought it might be a good solution to my always changing, always jam-packed schedule. 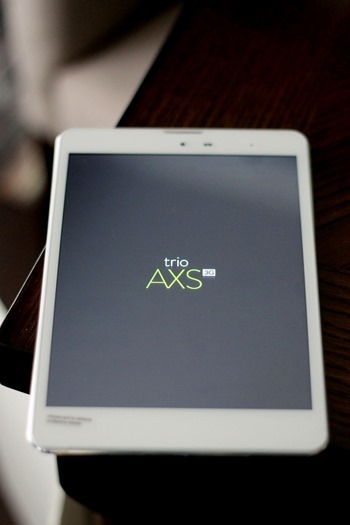 Not only does the T Mobile 4G Trio AXS have wi-fi, but it’s always connected through T-Mobile’s advanced nationwide 4G network, and they offer free data for life to people who purchase the tablet (200MB per month)! This means that you can connect anywhere….yes, anywhere! You don’t have to hunt down a local coffee shop for free wi-fi! You can connect in the carpool line, at the grocery store, or at soccer practice…how convenient is that? To be honest, I’ve never considered myself a ‘tablet’ person. With my blog and everything I do online, I feel like I need a laptop/computer. However, after using this tablet, I feel like I could use it for 70% of what I do online, and my laptop for the other 30%. It actually seems more convenient as well. 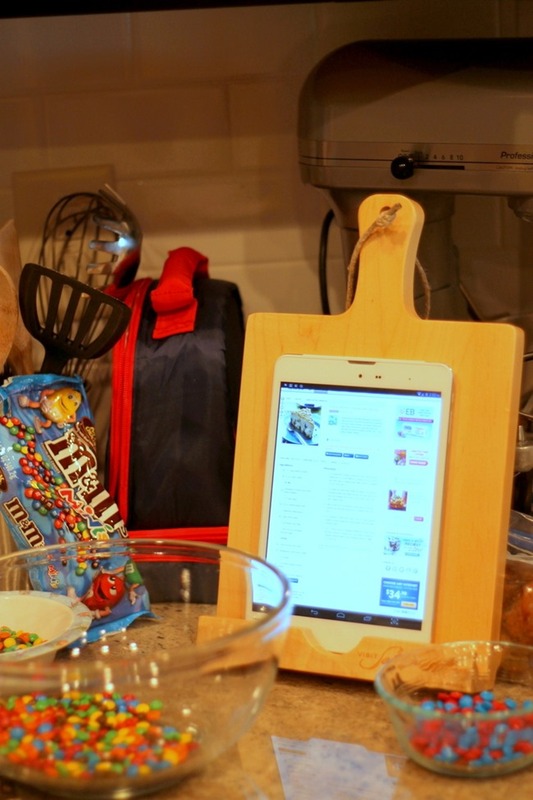 Usually I set my laptop up in the kitchen when making a new recipe, but now I can just prop my T-Mobile Trio AXS 7.85” 4G Tablet on my recipe stand and get to work! 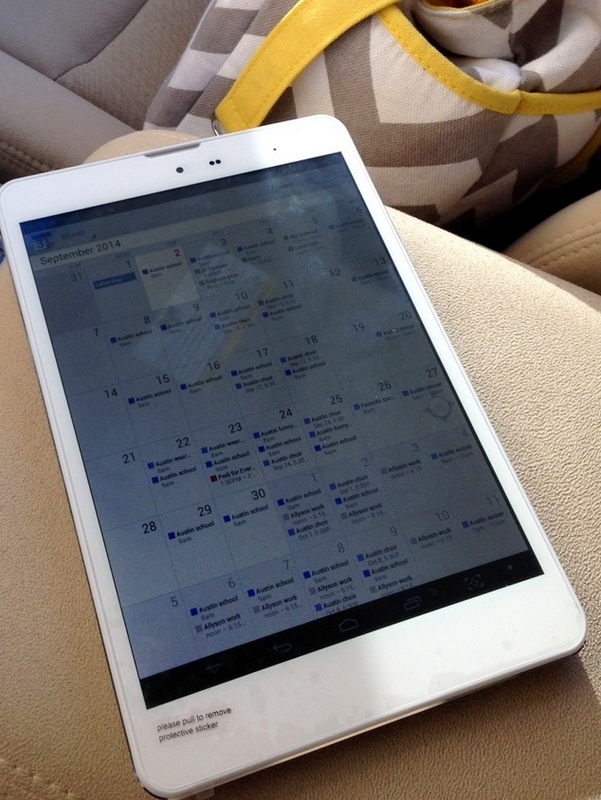 Not only that, but I can use the tablet to menu plan which is something I do every Sunday. 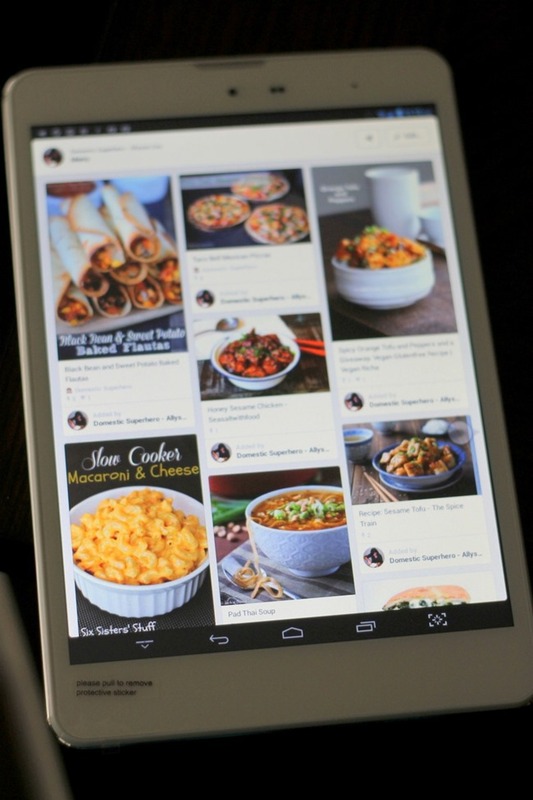 I like to utilize Pinterest for my menu planning, and then make a list and grocery shop. It’s definitely a method that works well for us. I also love that it syncs automatically to my Gmail accounts, which makes editing and viewing my calendar a breeze. Whether I am on my laptop, phone, or tablet, everything gets synced together so I don’t have to worry about where I add it, and if I am going to miss an appointment. I also get reminders on all my devices then, which is great so I never forget something! The T-Mobile Trio AXS 7.85” 4G Tablet is sleek and lightweight, and that makes it easy to slip it into my diaper bag or purse. It really makes my life easier and feel more organized. I love taking it out when I am waiting somewhere and being able to catch up on some things I have to finish. This tablet is also a great deal! At only $179 it is totally affordable, and you get the FREE data (200MB per month), which is amazing. 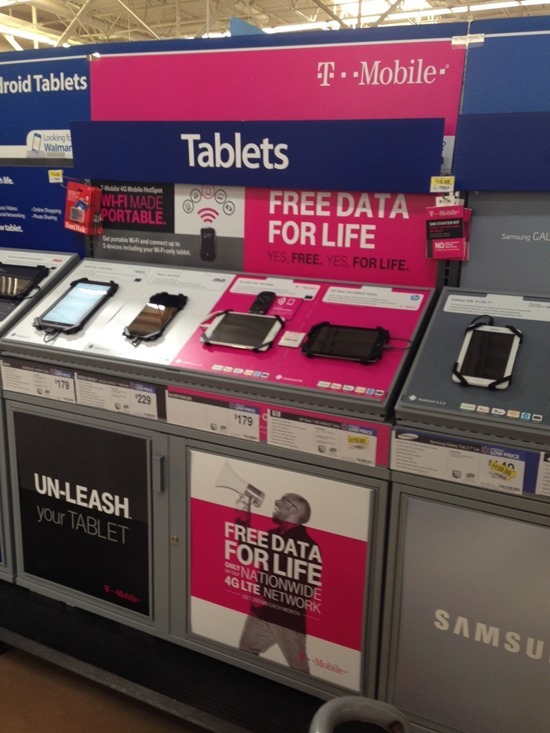 You can find the T-Mobile Trio AXS 7.85” 4G Tablet at Walmart in the electronics department, near the tablets and cell phones- just look for the pink T-Mobile sign! Are you a tablet user? 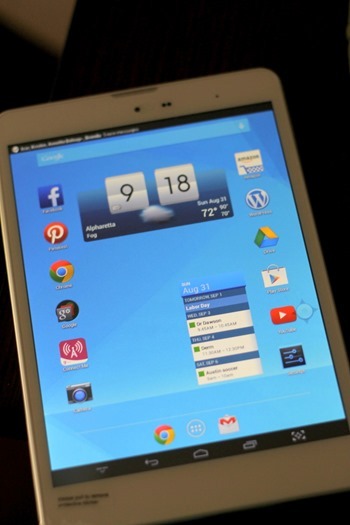 What is your favorite feature on the tablet? Very cool tablet. I have a Kindle Fire and have been happy with that. wow, I love that tablet holder! This tablet reminds me of my iPad too! So cool! Thanks for sharing all the features of the Trio! Sounds like a great tablet. I love the free for life feature! That looks like such a great tablet! I wish I had one of those tablet holders as well. What a great deal at Walmart. who knew. I am not sure where to find them! I got mine at the BlogHer food conference! Awesome swag! This tablet seems awesome. However, I am with sprint so I won’t be able to try it. It actually doesn’t matter what phone service you have. T-Mobile provides free data for life for the tablet, but you don’t need any type of account with them! I also have my cell phone through Sprint. Free data for life? That’s amazing! Tablet devices are such a wonderful piece of technology to have at one’s disposal. There are so many fun, organizational and practical purposes that they serve. You got me at ‘free data for life’. What an awesome feature! It looks like a great tablet, too.